Opening May 18, 11.30 a.m.
Italy too has joined Botanical Art Worldwide – Linking people to plants through botanical art; a project initiated by the American Society of Botanical Artists. The exhibition in Italy will be held at the oldest botanical garden in the world, the Padua Botanic Garden (Orto Botanico di Padova) established in 1545 and declared a World Heritage Site by UNESCO in 1997. Recently, a new modern sector called The Biodiversity Garden was inaugurated adjacent to the ancient Garden of Simples which dates back to the 16th century. The exhibition has been organised by Floraviva, the Italian Association of Botanical Artists in collaboration with the Padua Botanic Garden. 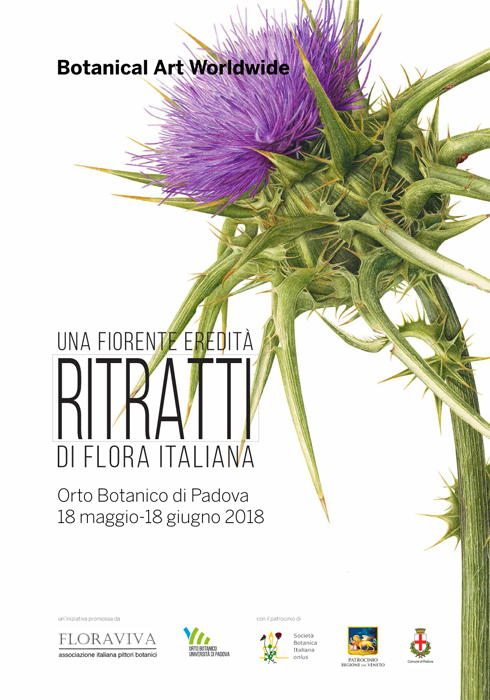 Floraviva, established in 2004 to promote and sustain the development of the ancient tradition of botanical art, brings together the most qualified exponents of this art in Italy today. An invitation to submit artwork for this worldwide event was extended to independent botanical artists as well as Floraviva members. The Jury of Experts, composed of Prof. Barbara Baldan, Director of the Padua Botanic Garden, Prof. Fabio Garbari, former President of the Italian Botanical Society, and Prof. Lucia Tomasi Tongiorgi, Art Historian of the University of Pisa, met at the end of February to carefully examine all the artworks presented by the artists. A total of 67 artworks were admitted by 31 artists, 27 of whom are women. The majority of artists (22) are members of the Floraviva Association. Particular attention was given to the endemic contingent of the national flora. Out of all the native species depicted (approximately 70), only two are considered naturalised, while 18 are endemic to Italy, some are very rare and several are endangered. This is in line with the recommendations expressed at an international level: raising awareness of the flora and biodiversity that characterise each country, and the fundamental role they play in the landscape. Given that botanical art and representation of the natural world went through a great development during the Renaissance, the name given to the Italian exhibition wishes to recall this legacy: A Flourishing Heritage – Portraits of Italian Flora. The following list contains the names of the exhibiting artists from Italy whose botanical artworks of native Italian plants have been selected for A Flourishing Heritage, Portraits of Italian Flora – Italy’s contribution to the Botanical Art Worldwide Exhibition 2018. A career in art education, she won silver and bronze medals from the RHS London in 2008, 2009 and 2011. She completed the SBA Long Distance Diploma Course in 2008 and is currently an SBA Associate Member. She has worked as a book illustrator participating in courses with Italian, English and Australian tutors. Her work has been exhibited at many Italian botanical gardens. Born in Milan, where she has taught botanical painting at the Brera Botanical Garden for many years. Renata Bonzo is a founding member of Floraviva, and has participated in many important exhibitions both in Italy and abroad. Following her degree in Biology, she has worked as a scientific illustrator for La Sapienza University in Rome, WWF and many publishers. 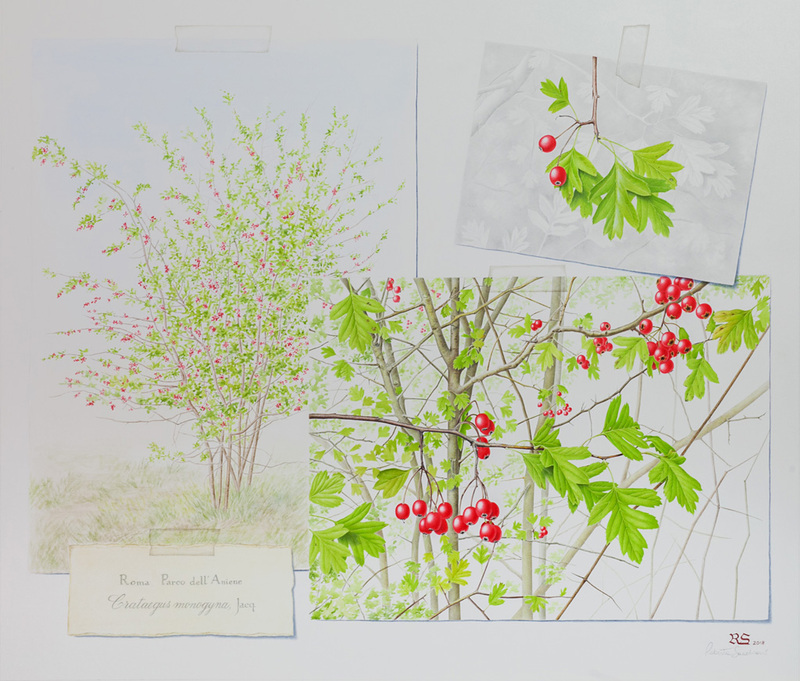 As a botanical artist, she has exhibited widely and her works are held in collections of the Hunt Institute, Lindley Library, New York State Museum (Albany NY), il Museo della Grafica (Pisa), and in numerous private collections in Europe and USA. In 2006 she won an RHS Gold Medal and Best in Show Award for her series of watercolours on “Galls”. Now based in Genova, she utilises pencils and brushes as her tools to create greater awareness of local biodiversity in environmental education programs. She is a member of Floraviva and ASBA. A retired optical engineering technician, Pierino Delvò has depicted botanical subjects since the ’90s and obtained an RHS Gold Medal in 1998. His passion for optical instruments and macrophotography are put to use to closely study plant morphology and subject detail. Plant life is also an endless source of inspiration for his cyanotype images: examples of which can be seen on his website. 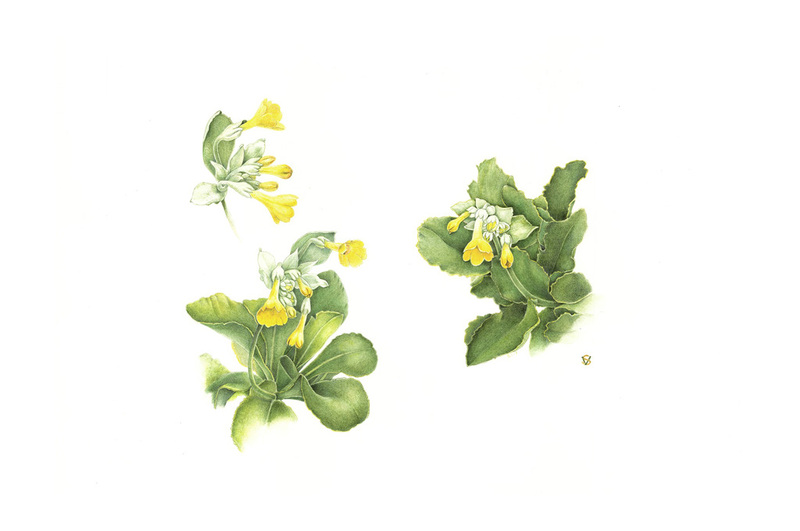 Nadia graduated from the Distance Learning Diploma Course of the Society Botanical Artists (SBA) with Distinction, London where some of her works were exhibited at Westminster Hall in the Annual SBA Exhibition in 2014. Member of the American Society Botanical Artists (ASBA) since 2016. Marina, a watercolourist, lives and works in Lodi Vecchio. Her love for watercolour and contact with nature led her to the fascinating world of botanical painting and naturalistic drawing. Member of Floraviva and AIA, (Association of Italian Watercolourists). She has won botanical printing competitions both in Bergamo e Cuneo (Italy), as well as shown per work in both personal and collective exhibitions in Italy. A park ranger at the Alpi Marittime Natural Park since 1983, his passion for botanical art sprang from his profession. Member of the Floraviva Association. He has exhibited both in Italy and abroad including the Italian Cultural Institute, Washington DC (2001). In 2003 he won an RHS Silver-Gilt Medal. She lived in Brazil for sixteen years where she depicted spontaneous forest plants in numerous botanical paintings. Since 2000, she has exhibited both in Italy and abroad. 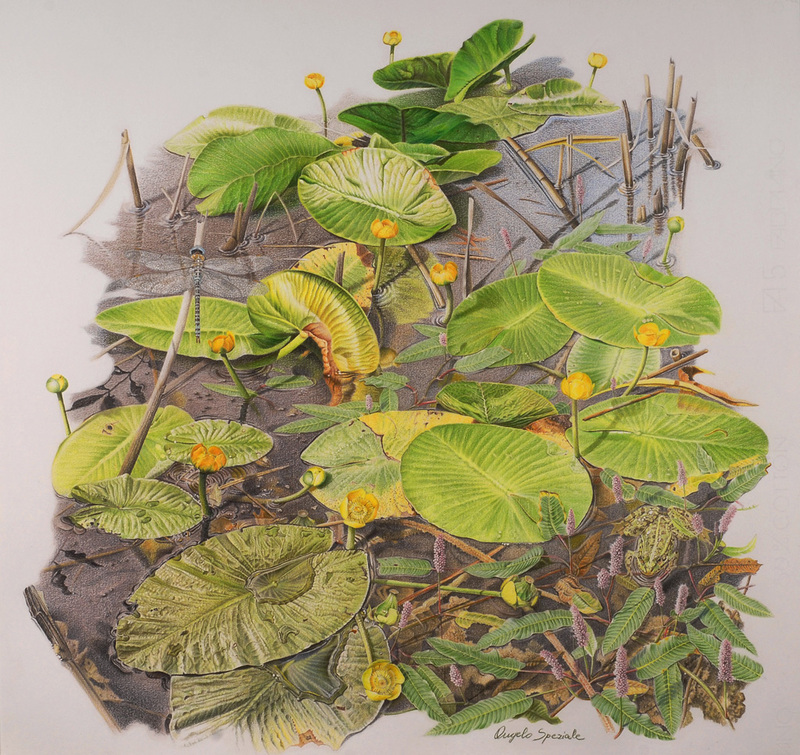 As a botanical painter, she has collaborated with the Departamento de Botânica / IB-UNESP / Botucatu SP Brazil and with the Departamento de Ciências Biológica from ESALQ / USP Brazil. Margherita currently lives and works in Italy where she paints native Italian flora. Australian born and educated, Maria had a career in education before studying botanical art with the Society of Botanical Artists. In 2015 she graduated from the SBA Distance Learning Diploma Course with Distinction. She was admitted as member to Floraviva in 2017. Several of her artworks were exhibited at Westminster Hall in London during the SBA annual exhibition and in Rome. Following a long career in fashion, Rosemary moved back to her original artistic passion: depicting the world of plants and nature. She studied botanical painting with several renowned Italian artists and her work has been exhibited in the Museo della Grafica in Pisa (Italy), the Karolyi Foundation (Hungary) among other venues. Three prints of her rose paintings are part of the permanent exhibition of the Rose Museum in Beijing, China. Member of the ASBA. Born in New York with a degree in art history, she moved to Florence where she still resides. Since 1965, she has been a botanical illustrator for the Department of Plant Biologiy at the Universety of Florence as well as for public institutions. She has produced thousands of black and white botanical illustration plates and her work has been published in international scientific journals and books on flora. Honorary Member of Floraviva. Sports high-school teacher, she attended several courses in botanical painting in Rome (UPTER) and at the Rome Botanical Gardens. She was awarded an RHS Silver-Gilt Medal in 2005 for her botanical roses on vellum, an RHS Silver-Gilt Medal for botanical roses on paper, and in 2009 winner of the Naturarte Competition, Lazio Italy. Her passion for Botanical art led her to attend several courses over the years. In 1998 she graduated from the International Master Art Course in Denmark. She paints exclusively from life utilising watercolour, gouache and oil. Member of Floraviva (Italy) and SFIB (France). She has exhibited in numerous personal and collective exhibitions in Italy and at the Shirley Sherwood Gallery, Kew Gardens London and has won several awards at a national level. Member of the ASAB and the Circolo degli Artisti Casa di Dante. She has painted botanical subjects from a young age and also worked on reproductions of old Flemish and Renaissance paintings attending a school of art restoration and ancient decorative techniques. She has had numerous personal and collective exhibitions organised by prestigious associations and institutes including: Museo di Storia Naturale, Florence, Camerino University, Accademia dei Georgofili, Lindlay Hall of London. In 2016 she won an RHS Gold Medal for eight paintings of citrus plants from the Medici Family Gardens. She collaborates with the “Dei Semplici Botanical Garden of Florence” and with the Tuscan Horticultural Society. Textile designer, she began botanical painting in 2000. Her preferred medium is watercolour on paper or vellum though she also enjoys exploring other techniques such as silverpoint. In 2008, she won an RHS Gold medal for Medicinal plants of Lake Como; in 2009 at “Botalia” in Lucca she received the Gold medal “Panterino d’oro”, and in 2017 she was awarded a RHS Silver Gilt medal. She regularly teaches botanical art at the Botanical Museum of Pisa, at the Ortifloricola Comense Society, Lezzeno Town Hall, in Como, and at other prestigious locations. Her paintings are in the collections of the Hunt Institute for Botanical Documentation, the Lindlay Library in London and the Museo della Grafica in Pisa. She is a member of Floraviva. A botanical and naturalistic painter for many years, studying her subjects from real life and portraying them in graphite, watercolour, gouache, coloured pencils and pastels. She holds painting courses with a seasonal theme, and organises drawing and painting classes about trees in the parks of Rome. One of her works is in the collection of the Hunt Institute for Botanical Documentation, Pittsburgh and many of her paintings are in private collections. Member of Floraviva, her works have been in many exhibitions in Italy and in US. Based in Novara, Mary Ann Scott is a member of the SBA and ASBA. She graduated from the SBA DLDC with Distinction in 2008 and subsequently published a book with Margaret Stevens, Botanical Sketchbook (Batsford, 2010) based on her experiences during the course. Her work has been shown in Italy, the UK and the United States. Whilst studying Biology at the University of Perugia, he worked as an illustrator with the zoology, palaeontology, and botany departments where careful observation of form and function were to form the basis of all his artworks. Plants and animals have always been the principal source of his artistic expression since childhood. Her artistic career began in 2000, after being awarded the RHS Silver-Gilt Medal. She has exhibited her work at the Italian Cultural Institute, Washington DC, at the Hunt Institute for Botanical Documentation, Pittsburgh (which also acquired one of her works), at the Shirley Sherwood Gallery, Kew Gardens, as well as at the Accademia dei Georgofili, Florence, Museo della Grafica, Pisa, and at several botanical gardens in Italy including Rome, Palermo and Catania. 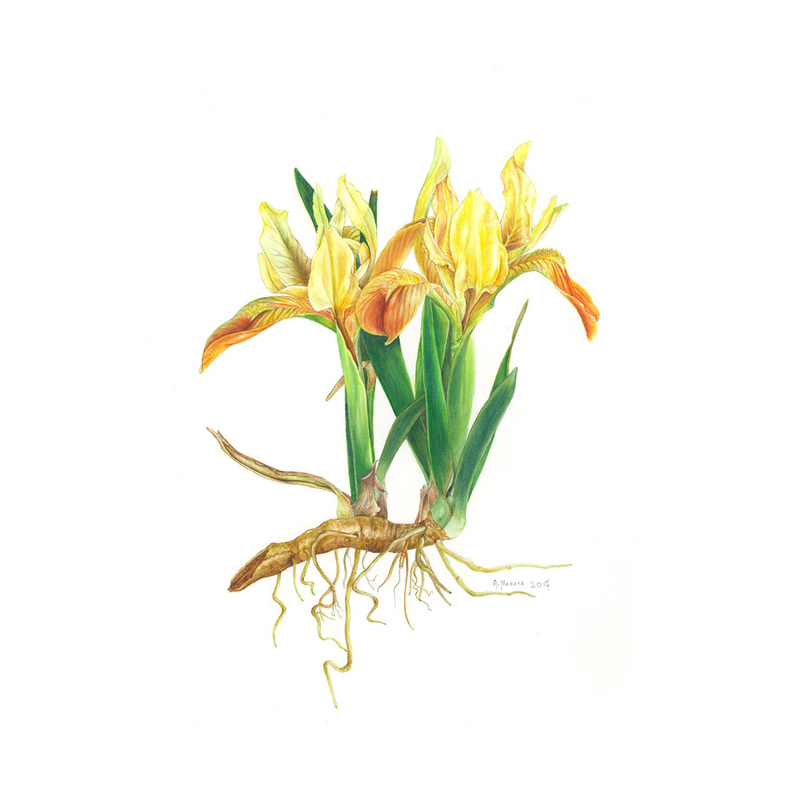 She holds watercolour courses in collaboration with the Padua Botanical Garden, La Mortella Gardens, the Florentine Iris Society and the Novacella Abbey Conference Centre. Daniela Trabucco received a diploma in Fine Art from the Accademia di Brera in Milan. She has always been fascinated by the natural world, portraying flowers and nature utilising mixed techniques or watercolour. Her passion for painting commenced as a teenager, and continued as an adult attending several botanical painting courses. Her artworks have been in numerous exhibitions and are held in the collections of the Alpine Botanical Garden and Campo Imperatore V. Riviera. Since childhood, she has been interested in nature and drawing, while in 2004 she commenced her botanical painting career. She has participated in major exhibitions in Italy and abroad and won important awards, including a Silver-Gilt Medal from the Royal Caledonian Horticultural Society and three RHS Gold Medals. She is a member of the Floraviva Association and her works are present in national and international, private and public collections, including the Hunt Institute, Pittsburgh (USA). After retiring she worked as a decorator, specialising in acrylics. In 2004 she attended botanical painting courses at the Brera Botanical Garden, Milano. 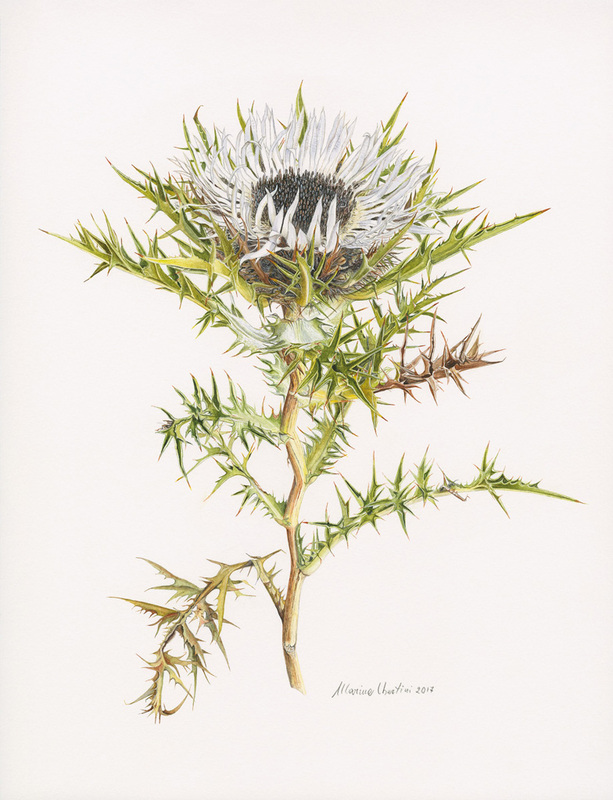 She has been a member of Floraviva, the Italian Association of Botanical Artists since 2012. Her work has been exhibited in various Italian regions and is present in private collections. Member of Floraviva. She first began botanical painting while working as an interior designer and architect. Her works have been exhibited in museums, private galleries, including the Shirley Sherwood Gallery, Kew Gardens and the Hunt Institute for Botanical Documentation, Pittsburgh. Elena Zito first approached naturalistic watercolour painting in Milan in 1986, and over the years has participated in courses in botanical and naturalistic painting courses with several renowned artists in Italy. In 2015, she became member of Floraviva, the Italian Association of Botanical Artists.